Printed summer shirts have come a long way in the last few years. What was once an ironically cool vacation shirt poached from dad is now an absolute must-have for stylish men everywhere. The descendants of the Hawaiian shirt are an instant pop of color and personality for their wearers and can be found on every red carpet or runway from mid-May until early September. In fact we’d bet at least one in five of you reading this right now owns some sort of printed summer button down, but owning one is just the beginning. Now that the warm-weather trend has proven its widespread sartorial importance thanks to how good they look on all guys, you’d be silly not to stock up. And because the pattern possibilities are literally endless, with some easier to pull off than others, we’re calling out our favorite four and walking you through how to wear them. Get ready to retire every other shirt you own. If the key to making money moves at work is showing ambition, then dressing like the boss instead of like an intern will get you major respect and, yes, results. 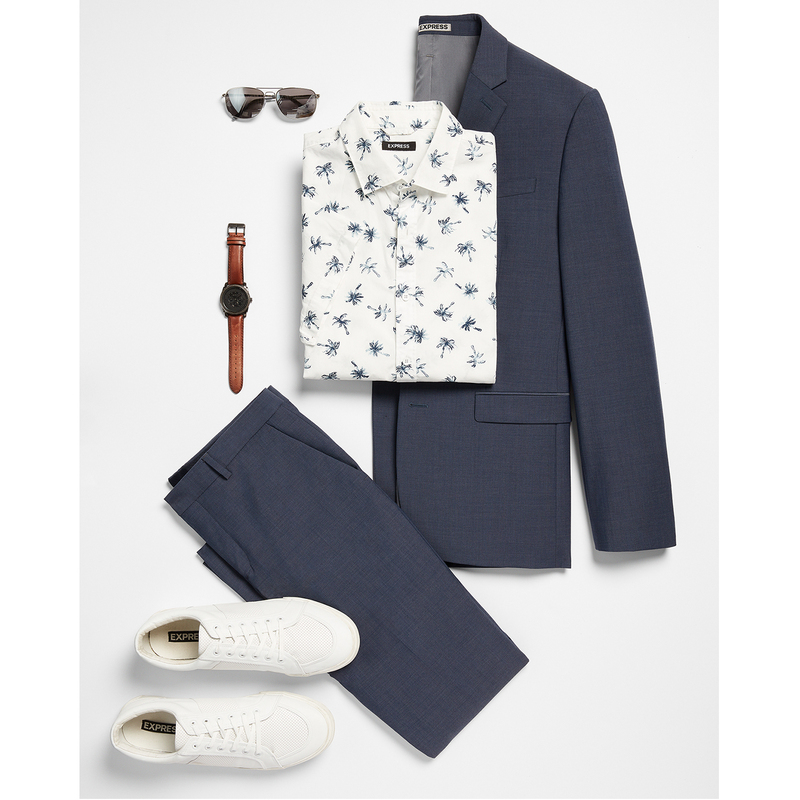 Start with your favorite 9-5 work kit and add a small scale printed white button down. For business occasions, keep prints to a few tonal colors that match your suit. Why wear jeans and a plain T-shirt when you can dominate your local fashion scene in something more festive? 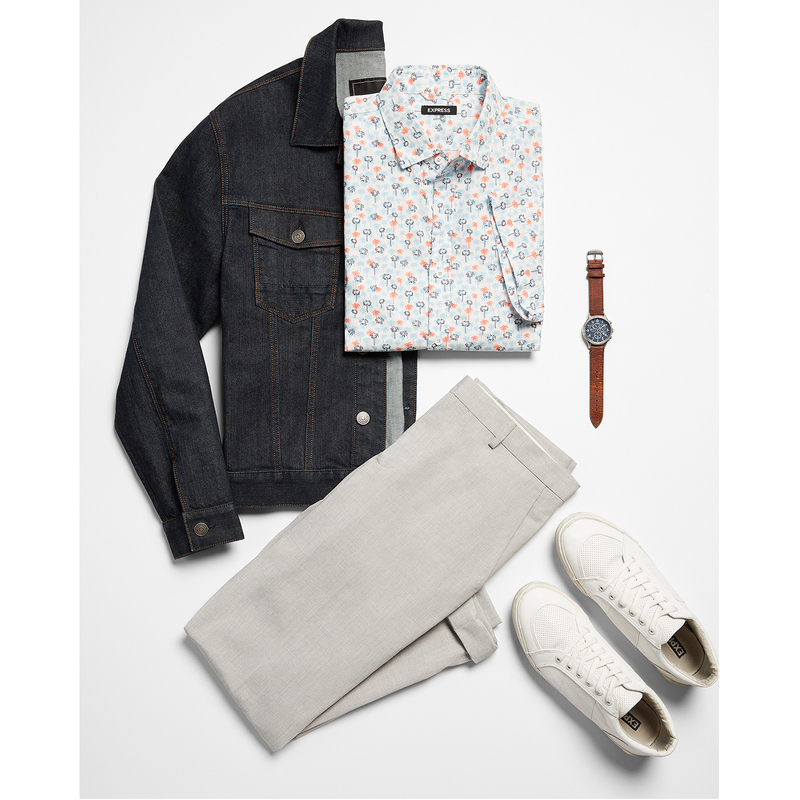 Micro print florals are among the easiest patterns to wear, so find one in colors you love and sandwich that sucker between a pair of slim chinos and a dark denim trucker jacket. 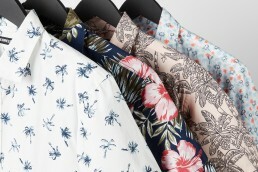 To hold the object of your affection’s undivided attention go for a bold and classic Hawaiian print. This one with its navy blue ground goes with almost everything you already own. But it’ll look especially choice over white jeans and a slick pair of brown dress shoes. Looking to knock it out of the park? 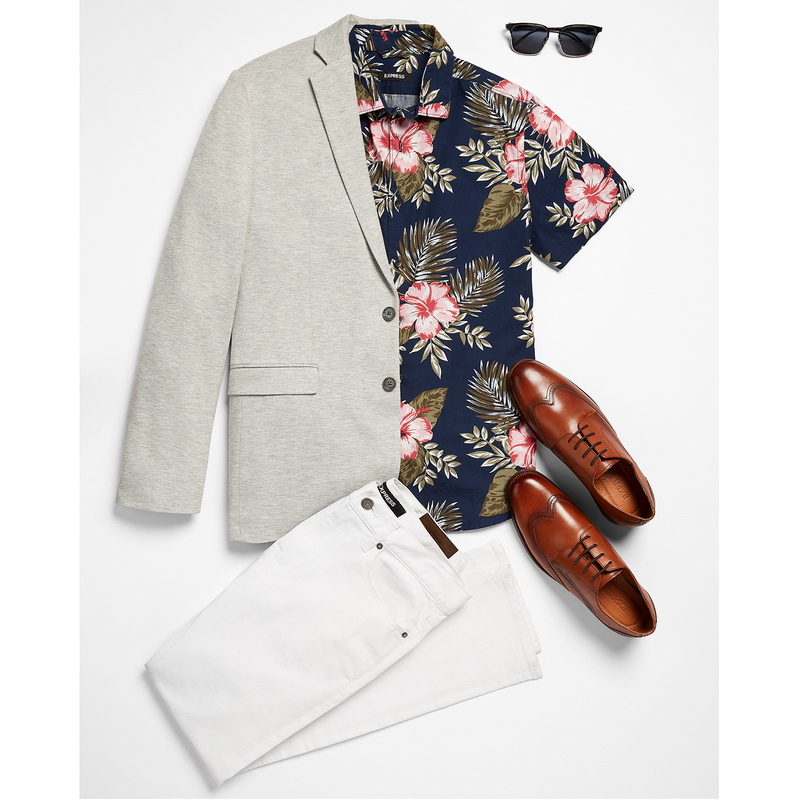 Add a relaxed blazer and a pair of handsome-man shades. Leisure time should never mean lazy time when it comes to your clothes. But you can make outfit planning quick and easy by sticking to monochromatic ensembles. 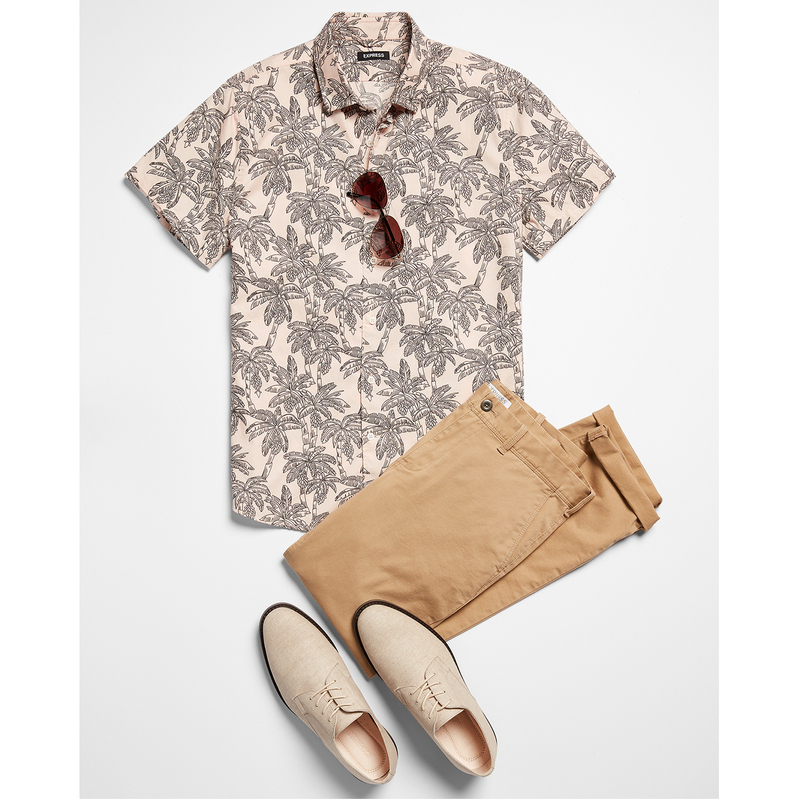 Kick back beachside or with a cold glass of beer in a neutral toned tropical print shirt and easy-going chinos. Keep the color palette consistent in beige summer lace-ups and golden tinted aviators.